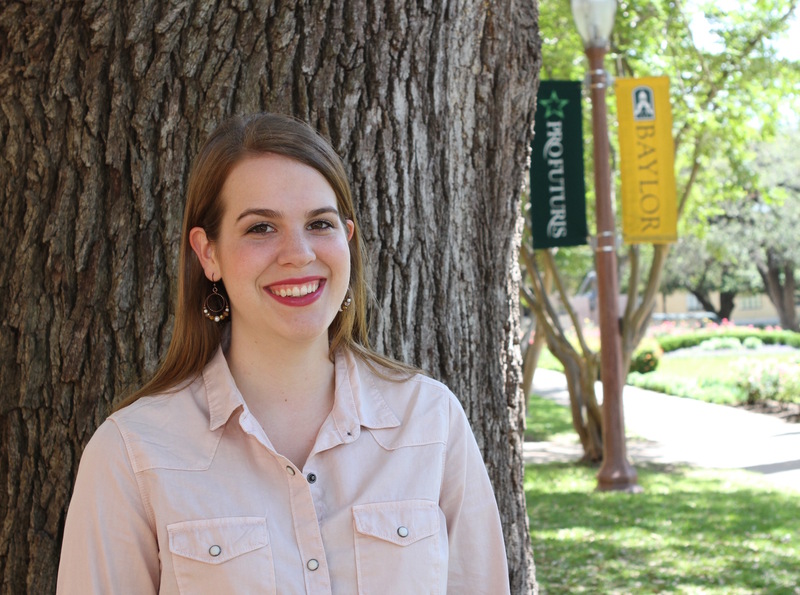 WACO, Texas (April 13, 2017) – Baylor University senior Emily E. Martin, a University Scholar from Frisco, has been selected to receive a prestigious Fulbright English Teaching Assistantship (ETA), which will allow her to spend the 2017-2018 academic year teaching English in Germany. 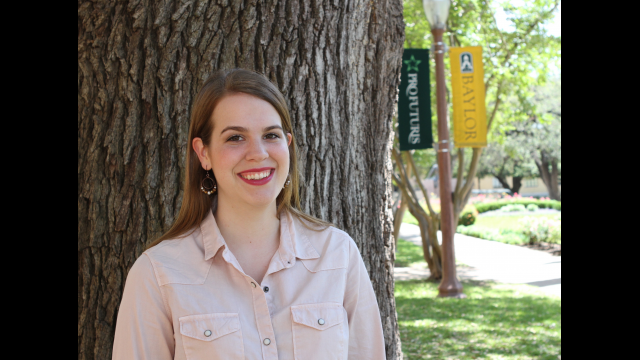 Martin is Baylor’s second Fulbright recipient this year and 49th since 2001. She is the daughter of Dr. Chuck and Kim Martin of Frisco. The Fulbright had been on Martin’s mind since her freshman year, with possible career plans as a diplomat with a focus on Russian. However, during her sophomore year, she started learning German and went on a semester exchange to the University of Freiburg in the southwest part of Germany. “Living in Germany for five months, I fell in love with the people and the way of life. I volunteered at a local high school teaching English, and I’m excited to do it again, and to ‘fling my Green and Gold afar,’” she said. Martin will serve as part of the English Teaching Assistant (ETA) Programs, which places Fulbrighters in classrooms abroad to provide assistance to the local English teachers. ETAs help teach the English language while serving as cultural ambassadors for the United States. She hasn’t learned to which city she will be assigned, but she has asked for a city in northeast Germany. “I sure loved the sunny foothills of the Black Forest, but I’m hoping to broaden my experience through living in the more reserved former Eastern Bloc,” she said. With that experience, and now as a Fulbright recipient, Good said Martin will be a valuable cultural ambassador and educator. After the Fulbright, Martin is considering high school teacher certification but would like eventually to pursue her Ph.D. to teach German and Russian at the university level. Baylor is well known for offering students a growing academic enterprise that ignites educational excellence, leadership and research discovery. With dedicated professors and a commitment to Christian values, Baylor students are provided with the tools to lead, serve and succeed in their future, which appealed to Martin as she was making her college choice. “I knew that Baylor was a place where I could find peers and professors who were passionate about knowing God personally and living in pursuit of a calling larger than themselves,” she said. Baylor’s Russian division in the department of modern foreign languages and the Great Texts program in the Honors College also played an important role in guiding Martin to Baylor.